This week we continue with our animal theme with particular emphasis on our feathered friends the birds. In language with will be testing our memory with an animal quiz. We will also be discussing the differences between animals and humans, creating animal rhyming strings and playing follow the sound. We will also be discussing how life would be if we were an animal and also taking a brief look at different religions. Whilst in maths it’s all about time as we learn a song all about time, make a hula hoop clock, playing what time is it Mr wolf and learning o’ clock. In more creative activities we’ll be focusing more of the preparation for our up coming Christmas play. Physical activities this week see us having a go at bouncing balls and playing one of our favourite games duck, duck, goose. We will also be exploring how birds nests are made and attempting to recreate one. We will also be making bird cakes to feed our feathered guests during these colder days. Our role play area this week undergoes a transformation into an aquarium enabling us to learn the names of some undersea creatures. Another week full of discoveries for us. This week we continue our exploration of animals around the globe. In our language activities we will be exploring the life cycles of various animals, matching food to the animals that provide it and playing the pies piper. We will also be discussing how we care for different animals, talking about what they need. Whilst in maths we will be counting birds, going on a number treasure hunt and learning a song called baa baa maths sheep. Our physical activities also see us practising throwing balls and moving in various ways like animals. We will also be doing some observational drawings of animals and fluttering around in our butterfly dance. In preparation for our Christmas play we will also be doing lots of practises so we are pitch perfect. Our investigations this week see us having fun exploring magnets and matching animals to the globe, learning about their habitats. Our role play area this week will be transformed into a wonderful home so that our little ones can copy their family members. This week we take a look at various animals learning more about the popular animals we have as pets and the more adventurous animals. 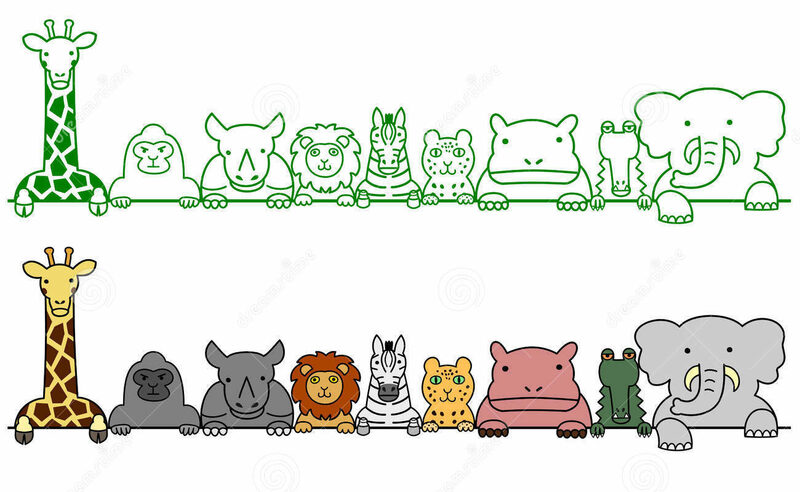 In language we will be re enacting the animal bop story making to moves and noises of the various animals. We will also be taking a look at animal life cycles starting with a kangaroo followed by trying to name all the baby animals too. Whilst in maths we have a go at writing numbers in various ways from using a pencil, writing in standard flour plus in the air with our fingers. We will also be taking a brief look at animals that help us and the lead up to remembrance Sunday we will also be discussing what this is all about. In more creative activities we will be creating masks of our favourite animals and enjoying its a bear dance. We will also be practising our Christmas play in preparation for the big day. Our physical activities this week see us learning a new song “the bear went over the mountain” and acting out the moves. We will also be having a game or two of skittles. Investigations this week seems having lots of fun as we make and test a kangaroo pouch allowing us perfect opportunities to explore fastenings and strength of materials. We will also be learning some interesting facts about animals from our animal books. No week would be complete without a transformation of our role play area which this week is transformed into an exciting vets scene complete with a pet shop too. What fun we will have in this action packed week. 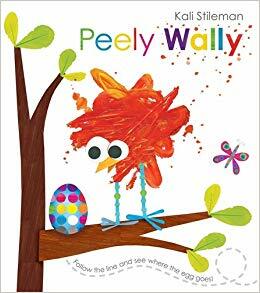 This week we take our inspiration from the lovely story Peely Wally’s egg by Kali Stileman. In language we will not only be reading this wonderful story but also recreating the sounds of the animals. We will also be exploring animal habitats and creating and a to z of animals. We will also be discussing pets that the children have at home. As well as this we will also be taking a look about the safety and hygiene of being around these wonderful animals. In maths we share the delights of number stories as we explore numbers in action through the many wonderful number stories. In more creative activities we will acting out being hibernating hedgehogs and shiny fish in dance. Whilst in art we take the inspiration of spots and have a go at cotton bud painting. We will also be having our own egg balancing fun as we have an egg and spoon race as well as playing a game of football. Our investigations this week see us matching the product to the animal and making houses for different animals. Out role play will undergo its usual transformation but this week it’s the turn of the children to decide it’s fate… So we await to see the wonders of that. This week we continue our exploration of the great outdoors in another action packed week. In language activities we will be doing a we will be adding new words to old songs and listening to a small selection of poems. We will also be taking a peek through some travel brochures discussing the pictures and countries we see. Then we will be doing a spot of cloud watching. In the lead up to the busy Christmas time we will be discussing how we can be helpful and share. Whilst in maths we will be going on a shape hunt, sorting different shapes and even learning some shape songs. Our Investigations this week see us exploring where different foods come from and finding these on the globe. We will also look at the properties of different items when taking a look at floating and sinking. In more physical activities this week we will having a go at different moves that require us to go up and under. We will also be attempting to learn to skip with a rope. In creative activities we will be having a go at synchronising our moves together to make us into a machine. Whilst in dance we will learning the big fish, little fish dance plus doing some observational drawing outside. Our role play area this week takes a transformation that sees us visiting different countries as it gets changed into a world café. This week we take a journey through the he wonderful Julia’s Donaldson story the smartest giant in town. Our language activities will be based on the rhyme and alliteration within this wonderful story. As we discuss the use of different clothing take part in the shoe occupation challenge and enjoying the adjust the volume phonic activity. In maths we will be comparing feet sizes and measuring items with our hands. We will also be matching the correct quantity of pegs to the number cards and counting the amount of steps to the finish line. More creative activities this week see us acting out how people would move in different type of shoes. We will also be visiting different lands on our magic carpet ride and doing observational drawings of shoes. Our Investigations this week see us exploring the balance of a floating orange and matching different rubbing to the locations or objects they were created on. In more physical activities we practise taking giant strides and fairy tip toe steps plus trying to save a few goals in our football practise. Our role play area will undergo a transformation this week into a clothes and shoes shop fitting for a smart giant! This week we take a peek at the some of the wonders around us as we explore our immediate environment and buildings. In our language activities this week we will be taking a look and discussing leaflets of local attractions. We will also be describing a journey we have gone on and having a go at I spy. In addition to this fun we will also be having a game of grandmothers footsteps to test our listening skills. We will also be taking a look at how we can help to care for the environment including talking about recycling. Whilst in maths this week we take a look at height as we measure one another and place our mark on the height chart. We will also be comparing the height of towers and look at how we can make them taller or shorter, before having a competition to build the tallest tower. In more creative activities we will be going on an imaginary bus journey, making 3D racing boats in art and learning a new dance called Pow wow. We will also be continuing learning the songs for our Christmas play. More physical activities will see us kicking a ball to and from friends in a circle and learning to skip over a low rope. Our Investigations this week see us learning how to build a wall as a builder and doing rubbings outside to explore the print that items leave. To allow the children to practice their building skills and create some amazing structures our role play area this week will be transformed into a workshop complete with tools and bricks (not real of course!). This week we have lots of fun as we begin to explore machines in their many forms. In language we begin with sharing machine poems. We will then turn our thoughts to our kitchens and spot dangers on a picture of a kitchen. We will also be exploring safety signs we see both in and outdoors. We will also be transforming ourselves in our creative activities this week as we become robots in drama and then building model robots in art. We’ll also be going on a journey into the deep of Africa as we learn an African greeting dance. This week also marks the start of us learning the songs for our Christmas play later in the year. In mathematics this week we have fun with numbers as we play some number games. We start with snap, number bingo and going on a number hunt. We will also be directing our friendly electronic bug beeb or to numbers. Our investigations this week see us exploring various man made and natural objects in more detail. We will also be creating a working volcano…. We can’t wait! In more physical activities we will be attempting to kick a ball following a zigzag line and learning to skip without a rope. As usual our role play area will be transformed but this week it’s top secret as the children are transforming it themselves! This week we continue looking at our families and bodies in more detail. Our language activities see us guessing who’s who on family photos, sharing photos with one another discussing our adventures and playing a game of guess whose voice. We will also be having a go at name alliterations. We will also be learning all about the celebrations of succoth and about healthy /unhealthy foods. In maths we put our sorting hats on and sort for various properties such as animals, fruit type, colours and shapes to name a few. We will also be getting active as we practise hopping on alternative feet and dribbling the ball. Whilst in more creative activities we will be pulling lots of funny faces as we act out different feelings, dancing along to heads, shoulders, knees and toes and taking part in our very noisy big band activity. In investigations this week we will be exploring how our lungs work and also taking a closer look at our fingerprints. This week we take a look at the life of babies as we discuss what life was like for us as babies. In language activities we have fun playing a game of describe and guess using baby items. We will also be exploring unusual kitchen utensils as we guess what the different ones are used for. Mathematics this week we have a play with numbers as we play the shopping basket game, have a duck race and race cars to numbers. We will also be learning about how fast germs can be spread about during our fun glitter germs activity. In physical activities this week we will be testing our balancing skills as we attempt to hop on one leg and also practice our ball control skills. Our Investigations this week see us attempting to find our pulse and seeing how it changes after exercise. We will also be budding bakers as we put on our cooking aprons to bake bread. We will also be getting out our feather dusters in our drama activity as we act out household chores. Giggles will be guaranteed as we make music with body parts and learn the hokey cokey dance. As always our role play area will be undergoing it’s weekly transformation this week into a kitchen scene complete with cooking books and aprons.